For many people, turning a favorite hobby into a successful business is the ultimate goal. The age-old saying, “choose a job you love, and you will never have to work a day in your life,” is a classic for a reason. 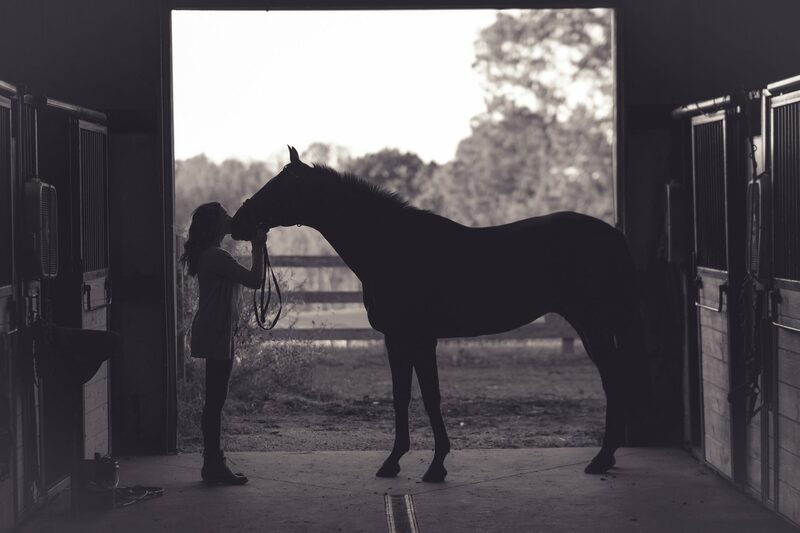 Raising horses is the kind of hobby that takes a lot of dedication, hard work, and heart — so why not also take the plunge of turning your love and care of horses into a profitable lifestyle? Establishing your overall financial goals for your new business adventure is going to be vital. Of course, in order to turn your hobby into a moneymaking business that can sustain you and your ranch, you need to offer something that customers want and are willing to pay for. Deciding what path you want to take with your ranch, such as providing animal-assisted therapy, riding lessons for children, weekend-long riding vacations, or maybe a combination, will ultimately direct your decision-making. Riding lessons, whether for the average Joe or specifically children, can be another way to turn your hobby into something profitable. Helping children learn how to ride and care for horses early on in their life can be beneficial for a number of reasons! It can boost their confidence, help them make new friends, and teach them the importance of responsibility (pony rearing isn’t easy work!). Hosting a summer camp at your ranch would also be a great idea, showing kids the life of a rancher and maybe even inspiring a future employee for your ranch. Giving your ranch a much-needed makeover will probably be the most costly adjustment when evolving your hobby into a business — however, it’s a necessary investment. Upgrading your property can make it more inviting to guests and evolve it into a luxurious, yet quaint destination many people are looking for. While it’s not necessary to upgrade everything at once, starting with the basics is a great way to transform your ranch into something amazing. Stables are a good place to start with your upgrades, considering your horses will likely be the main attraction on your ranch. Finding various ways — expensive or DIY — to spruce up your horses’ quarters can improve the experience of your guests (while also making your horses happier!). Upgading your stables, as DC Structures points out, can also prevent your horses from letting themselves out to enjoy a night out on the ranch. They explain, “Horses are extremely inquisitive creatures. A clever steed can easily find its way around a poorly placed latch and show themselves out.” Escaped horses can scare your guests, damage property (yours and theirs), or worse, horses can injure themselves or get attacked by predators. Furthermore, there has been research done that shows some negative side effects of traditional single-stall stables on horses, who by nature are very social creatures. “Researchers measured levels of the animal stress hormone corticosterone in horses who were kept in a variety of different environments, ranging from traditional single stalls to communal paddocks … the animals became more stressed and increasingly difficult to handle the more isolated they became.” In order to give both your guests and horses the best, safest experience possible, making sure your horses are happy and healthy with a few stable upgrades can spearhead any future problems you might encounter with stressed-out horses. Depending on what you’re thinking about charging your guests, leaving room in your budget to purchase some new, unique, and eye-catching (but still functional) gear can really take your ranch destination experience to the next level without a lot of elbow grease. Think new saddles, bridles, and some interesting, fancy blankets. Of course if you want to focus more on lessons or training then functionality above all else, but some glamour here and there can really enliven those “city slickers” who are excited but nervous to take their first horse ride. In this internet age having a website is going to be the primary way that potential guests will use to find you ranch and hopefully book their next trip or lessons. With that in mind, investing some time and money into getting professional photos of your beautiful property with all the amenities will be the best way to entice future customers and give them a clear idea of what you have to offer. Furthermore, getting up an easy-to-use, sharp-looking website can make the process of booking lessons, training, or extended stays easier and efficient. Don’t be afraid to familiarize yourself with important online tools such as Google Calendar as well; that way you can keep better track of you and your guests’ schedules. While there is obviously a lot more work that has to be done before getting a successful business up and running than is listed here, this is hopefully a good place to get you started. How Long Can You Sleep While Standing? Worth Checking Out . 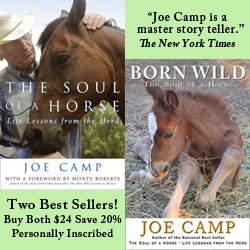 . .
You can read the first four chapters of The Soul of A Horse, Life Lessons from the Herd here (for free).